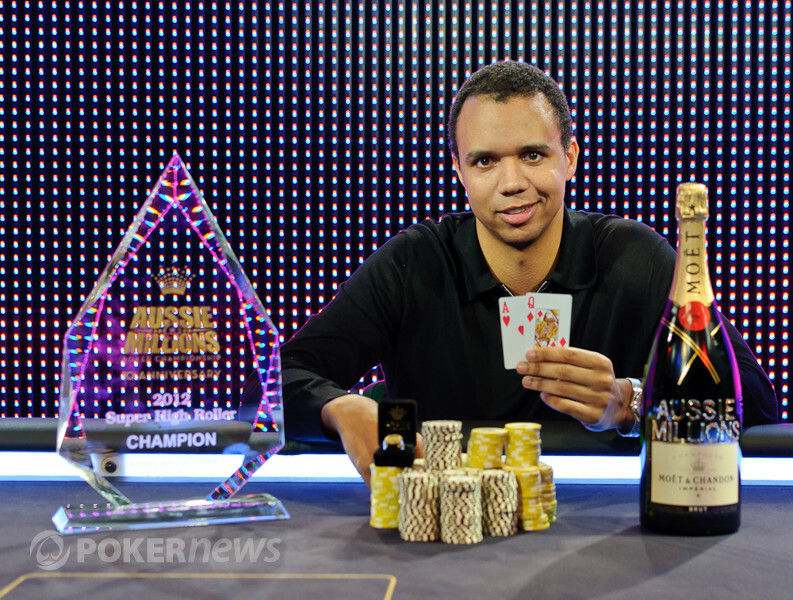 Welcome Back Phil Ivey, Winner of the $250,000 Super High Roller (A$2,000,000)! 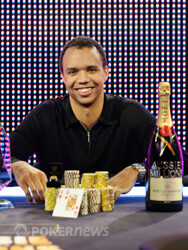 Welcome back to the winner's circle Phil Ivey! The 2012 Aussie Millions $250,000 Super High Roller has concluded and lasted into the early hours of the morning on Sunday. As the sun started to rise in beautiful Melbourne, Australia, one of the greatest poker players the world has seen, Phil Ivey, shipped the A$2,000,000 first-place prize after defeating Patrik Antonius heads up and officially welcomed himself back into the poker world as if he had never left. It was just a handful of months ago that Ivey disappeared from live tournament poker before returning in November at the APPT Macau. He didn't cash there, but here at the Aussie Millions, Ivey made a couple of really big splashes. First, he placed 12th in the Main Event for A$100,000 and then went on to ship the largest score of his career by winning the Super High Roller. The event attracted 16 players, all of whom ponied up the massive six-figure buy-in to take part in the event. The top three spots were set to pay out and a bubble of A$800,000 was in store. Of those who played in the event were last year's champion Erik Seidel, last year's runner-up Sam Trickett, Tom Dwan, Jason Mercier, John Juanda and Sorel Mizzi. Along with those professionals, the event had a handful of businessmen on the felt, including Richard Yong, Paul Phua and Winfred Yu. The first player eliminated on the day was Dwan and he fell at the hands of Gus Hansen. Next to go was Nick Wong. The defending champion Seidel busted during Level 5 with the blinds at 3,000/6,000/500. He was shipped out the door by $100,000 Challenge winner Dan Smith after his pocket eights couldn't overcome Smith's jacks. After Yu bowed out in sixth place and Mizzi in fifth, the largest bubble of the year was set to take place.The two players that joined Ivey and Antonius were Daniel Negreanu and Gus Hansen. From that group, the only man not getting a huge chunk of cash was Negreanu as he turned out to be the bubble boy. Falling in third place was Hansen when he was eliminated by Ivey. Hansen took home A$800,000 for his finish after getting all in on the flop with the against Ivey's . The turn was the to give Ivey a full house and then the river completed the board with the to finish things off. When heads-up play began, Ivey held the slight lead with 2.2 million in chips to Antonius' 1.8 million. He won a big pot about 45 minutes into the match to extend his lead to seven-to-one before the final hand came up. Antonius moved all in with the from the button and Ivey made the call with the . Although the flop put Antonius in front, the on the turn catapulted Ivey back into the lead. He held from there as the landed on the river and Antonius was eliminated in second place. For his runner-up finish, Antonius scooped A$1,200,000. With his win, Ivey leaps over Negreanu and into second place on the all-time money list. He also further secures his position in poker history as, what many consider, the greatest player on Earth. Even with his absence from tournament poker for so long, Ivey took to the Aussie Millions with a vengeance and has put himself right back on top. 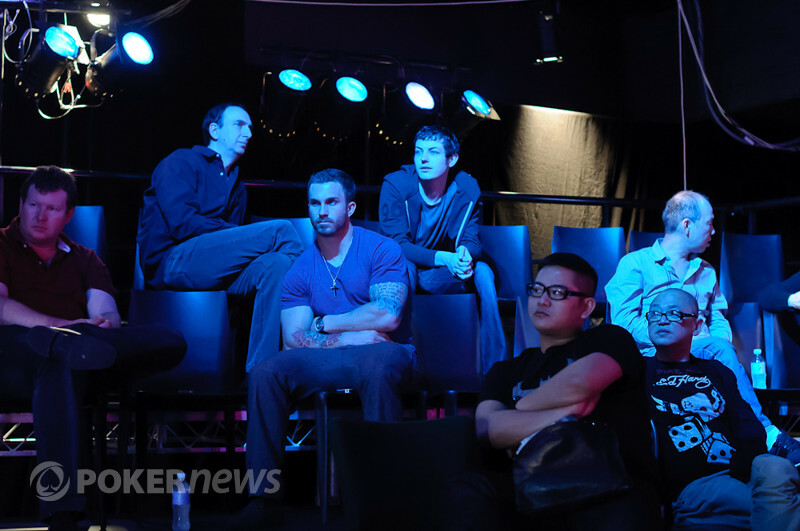 The PokerNews Live Reporting Team will be on hand for the final day of the 2012 Aussie Millions Main Event tomorrow. In what would be the last hand of the tournament, Patrik Antonius open-shipped and Phil Ivey snap-called. The room came alive as everyone was on their feet as Antonius was at risk. However, nothing is easy and faint gasp could be heard when the flop came down, giving Antonius a pair of threes and the lead. Just when it seemed the tournament was bound to go on even longer, the spiked on the turn to give Ivey back the lead. Antonius needed either a king or three on the river to stay alive, but it was not in the cards as the appeared. Antonius was eliminated in second place for $1.2 million, while Ivey captured the $2 million first-place prize, in the same day he finished 12th in the Main Event for $100,000. 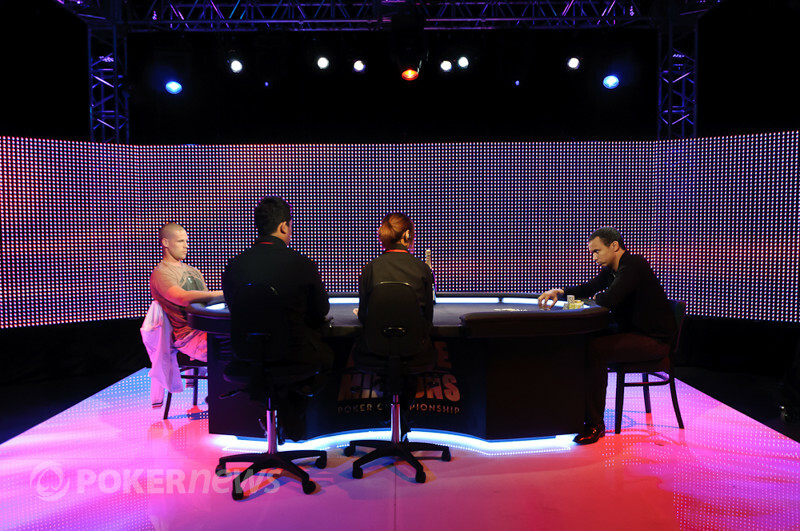 Picking up the action on the flop, Phil Ivey led for 100,000 before Patrik Antonius raised to 250,000. Ivey came back with a reraise to 375,000 and Antonius made the call. The turn card was the and Ivey checked. Antonius fired 175,000, but he was met by a strong form of resistance as Ivey check-raised all in. Antonius thought, then folded and Ivey won the pot to take a big seven-to-one chip lead. It's nearly six in the morning here in Melbourne, but that hasn't stopped a couple notables from coming to watch the action. A couple of the Chinese businessmen who participated in today's tournament, as well as Erik Seidel and Tom "durrrr" Dwan, have come to watch the action and are among the dozen or so railbirds still in attendance. Patrik Antonius opened for 125,000 and Phil Ivey called from the big blind. Ivey then check-called a bet of 125,000 on the flop, before both players checked the turn. Ivey then led out for 300,000 on the river, which Antonius called.Ivey rolled over for two pair, and Antonius simply mucked. We all know everyone likes free money. We also know that if you're following along with our coverage that you enjoy poker. Thanks to our great friends at PartyPoker, you can now get some of both with the "Exclusive $50 FREE with NO DEPOSIT & $50 Reload Bonus" offer. New PartyPoker players just sign up using the PokerNews links to qualify for our Exclusive PartyPoker $50 Free Promotion. Real cash — NO deposit required! Then, deposit and enter code "PN50FREE" to take advantage of our NEW $50 reload bonus. 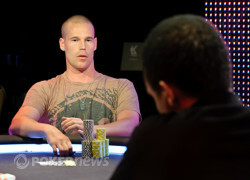 From the button, Patrik Antonius raised to 150,000. Phil Ivey three-bet to 400,000 and then Antonius moved in. Ivey folded and Antonius won the pot.